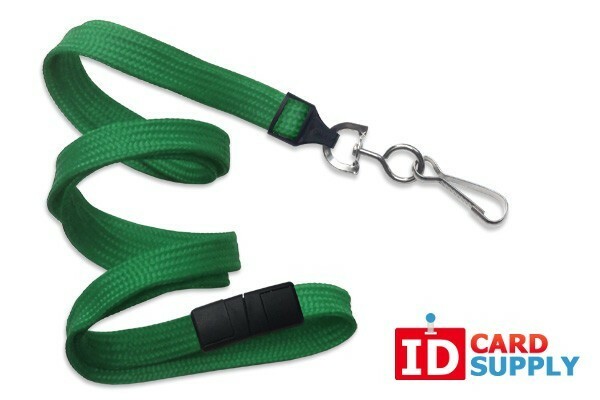 This flat woven lanyard is equipped with a safety breakaway: if a strong pressure is exerted on this lanyard, this feature prevents it from breaking off. You can choose an end fitting for this lanyard that appeals to you, such as a swivel hook, a bulldog clip or a split ring. We also have a variety of colors available for this product that will match you and/or your organizations needs. This lanyard is very high quality and will last through years of abuse. 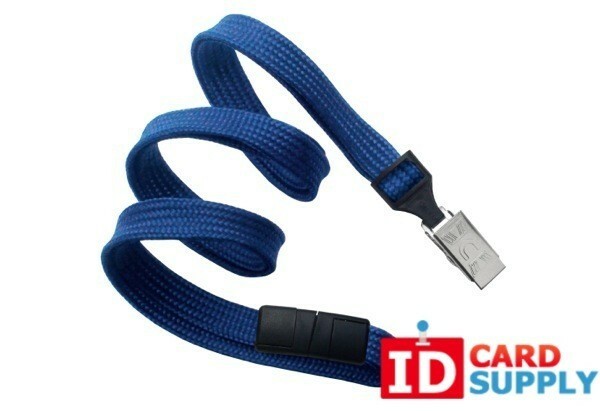 With this lanyard you can easily and comfortably carry a set of keys or wear your ID card/badge.